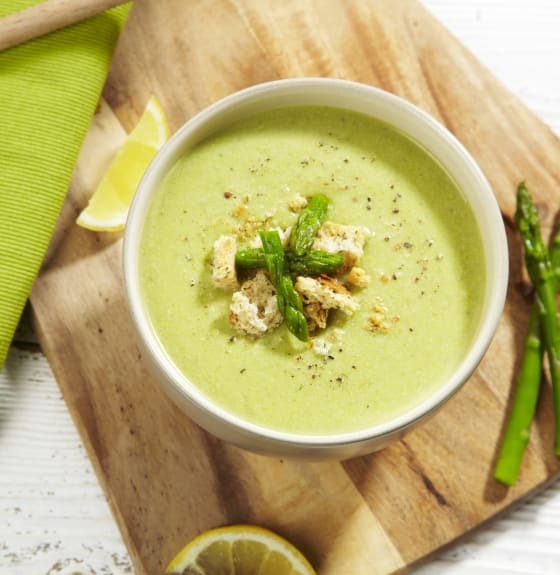 Spring is asparagus season – these amazing spears full of flavour and vibrant colour aren’t around for long so make the most of them and enjoy as much as you can. 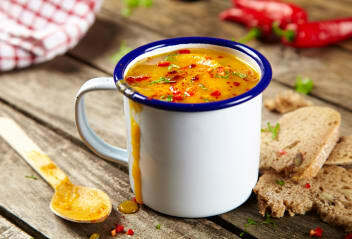 This flavoursome soup combines Cauldron Tofu giving you protein content and the taste of Spring in one satisfying bowl! To prepare the stock, place all of the ingredients in a large pan, bring to the boil then cover and simmer gently for 1 1/2-2 hours checking occasionally to ensure that there is enough liquid left in the pan and adding more water if necessary. Sieve carefully to remove the vegetables and season with salt and pepper. To prepare the soup, gently fry the onion and celery without colouring in the 2 tbsp of olive oil in a large pan. Add the asparagus and 1 litre of homemade stock. Bring to the boil then simmer for 15 minutes. Allow to cool slightly for 5 minutes. Blitz the tofu in a food processor until smooth for 3-4 minutes, add the soup and whizz until smooth. Any leftover stock can be kept for 2-3 days in the fridge or frozen for use at a later date. 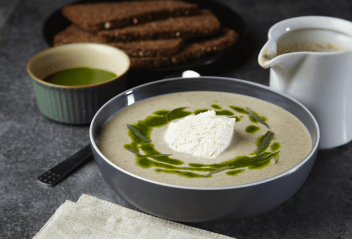 This simple, creamy root vegetable soup is satisfying and warming on any occasion. 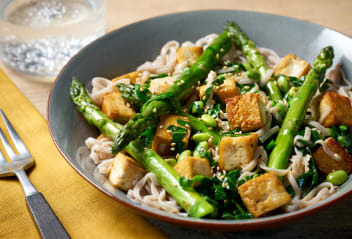 Step into Spring with this healthy green dish, a light option which is ready in just 20 minutes.